Many new parents don’t believe it but that angelic infant that they have just brought home will undoubtedly exhibit one or more common behavioural problems within the next few years. In fact, most children turn to some form of bad behaviour when they get frustrated so it is the rare family that escapes a few uncomfortable episodes while the children are still developing. Behavioural problems commonly exhibited by young children include aggressive actions, swearing, and engaging in deceptive behaviour. Many parents will be relieved to hear that most young children turn to aggressive actions such as hitting, kicking, biting or throwing things at some point. That does not mean that these actions are necessarily appropriate, but it does mean that they are relatively normal. 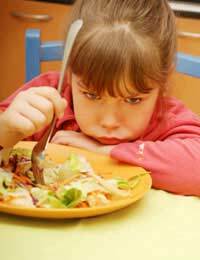 Young children often have a low threshold for frustration, particularly when they are hungry or tired, so these are key triggers of aggressive actions. Children themselves are usually tempted into these behaviours because they are feeling frustrated, powerless, and/or tense but don’t have the language skills or vocabulary to otherwise express these emotions. Though it doesn’t help at the time, when it comes to aggressive behaviour prevention really is the best cure so try to watch your children for signs of negative emotion that could spill over into aggressive actions. When children do engage in aggressive actions, make them aware of their inappropriate actions immediately so that they understand exactly what they have done wrong. What may seem silly or funny in the privacy of your own home is rarely as amusing when a youngster yells a swear word at church, school or a local play group. Unfortunately parents likely have no one to blame but themselves for this development. Young children learn vocabulary words in large part by hearing them said, so whether it is from you, a friend, a carer or the television, if children have managed to pick up swear words it means that someone has been careless. Thankfully this habit is usually only cultivated because it brings the child attention – either good or bad. Explaining why swear words are inappropriate, and ignoring them when possible, are good ways to bring a swift end to under-age swearing. Children tend to engage in deceptive behaviour in two main ways – by lying and by stealing. Children who undertake deception are not rotten to the core but in fact may be engaging in these behaviours for a variety of complex reasons. Children sometimes lie in order to avoid unpleasant events, get more attention, test adults or even to get even with others. They may steal for similar reasons. While these behaviours are inappropriate, children who are just finding their own senses of themselves may not yet understand that their actions are hurtful to others nor may they even understand what dishonesty really is. Parents of children who have been lying and stealing should consider if there is anything happening in their children’s lives that may be causing this behaviour. Common behavioural problems in children including engaging in aggressive behaviour such as kicking, hitting, biting and throwing things, swearing and deceptive behaviour including lying and stealing. Usually children engage in these behaviours to gain attention or express frustration, so parents dealing with these issues should look beyond the behaviours themselves to see what could be causing them. @shell - how do you feel about his behaviour, do you feel it is normal? He may be pre-pubescent which can give rise to certain behavioural changes. However, if you think it is out of character, then you could always visit your GP. However, anger and frustration are quite common issues in children, and perhaps more so if he feels frustrated with his dyslexia, so unless he is very aggressive, I shouldn't worry too much, it all might be part of growing up. I just read a sentence in the above article which I can relate to. I have a 10 year old. the sentence :' negative emotion spills over into aggressive actions'. is this normal for my son to be like this? is it hormonal? he is diagnosed as Dyslexic.